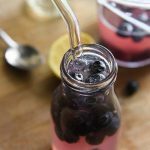 This super tasty and easy to make Blueberry Lemonade is a pretty pink color and the whole family will love it! Hey guys, it’s Courtney again from Courtney’s Sweets and Know Your Produce! My family has a thing for Lemonade and most recently my daughter asked what other fruit we could use to make lemonade. She’s a huge fan of blueberries so we always have them in the house, she was eager to get into the kitchen and see how it would turn out. I actually never made or tried blueberry lemonade! I’ve had raspberry lemonade, fresh strawberry lemonade, and of course traditional lemonade. I have to say… I think Blueberry Lemonade is my new favorite. The flavor, the color, it was a huge hit in our house! Sometimes I’ll make a big batch and when I do this I like to strain out the blueberries. I’ll actually freeze the blueberries with a little yogurt for a simple dessert after dinner or even freeze on their own for a smoothie later. 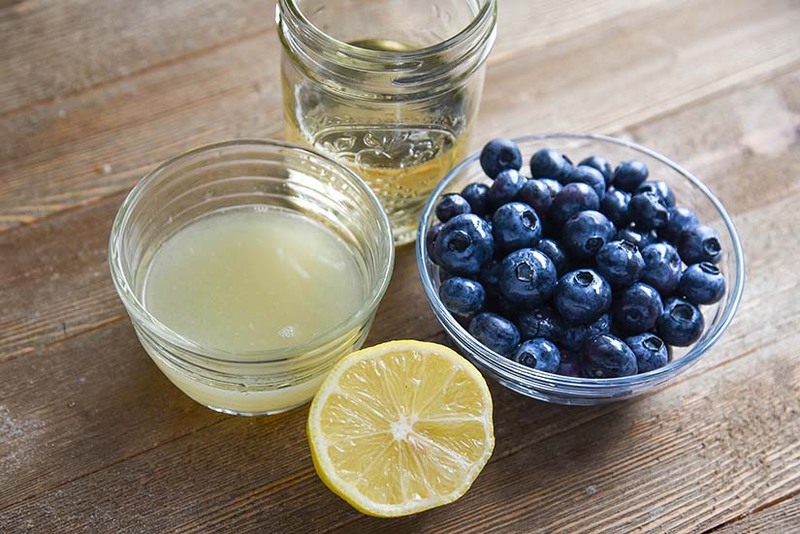 The most important part of making any lemonade is making a simple syrup. 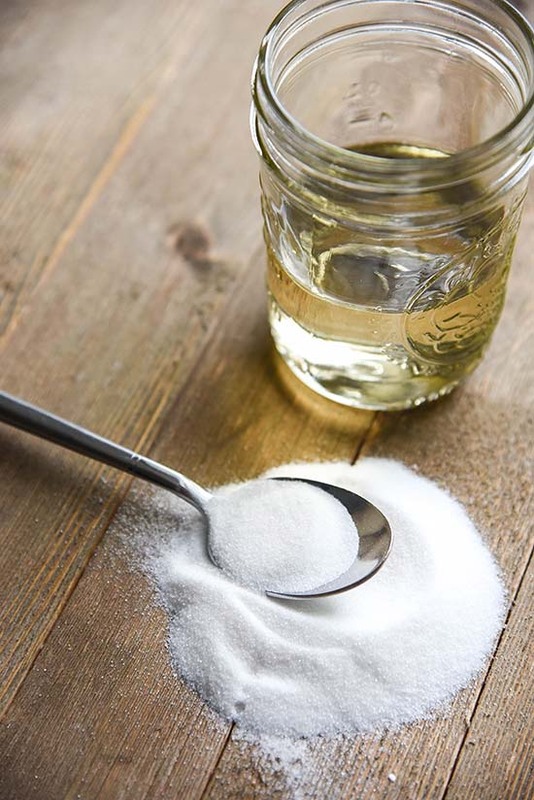 By making a simple syrup you make sure that the sugar is completely dissolved and no one is sipping granules of sugar up their straw. To make simple syrup you just heat equal parts of water and sugar in a saucepan. Once the sugar is dissolved I allow it to boil and thicken up a little. When the simple syrup is done you can use it to sweeten any lemonade or any other liquid beverage you’d pour sugar in. The blueberries were really fresh and delicious. I found some organic blueberries on sale and stocked up. 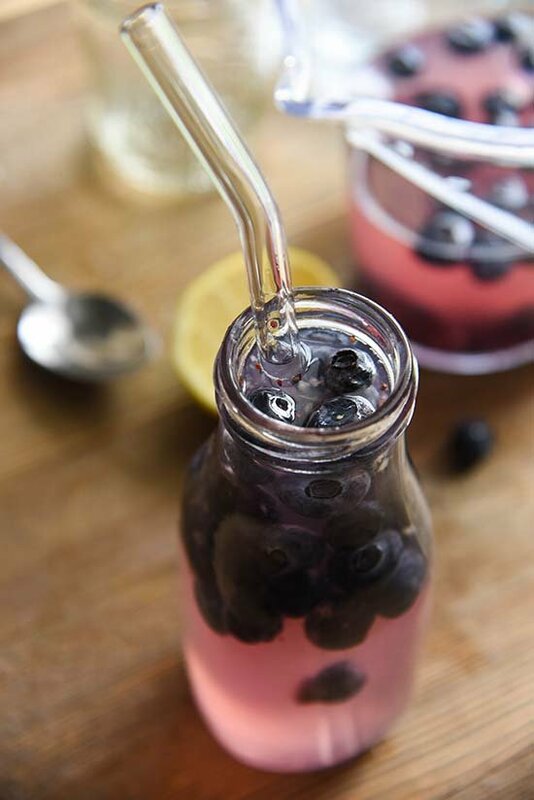 They’re so tasty on their own, but this blueberry lemonade is a must make and I’ll definitely be making more of it with the blueberries we bought. Making lemonade, no matter the flavor is super simple. Most of us already have the ingredients in the house already too. 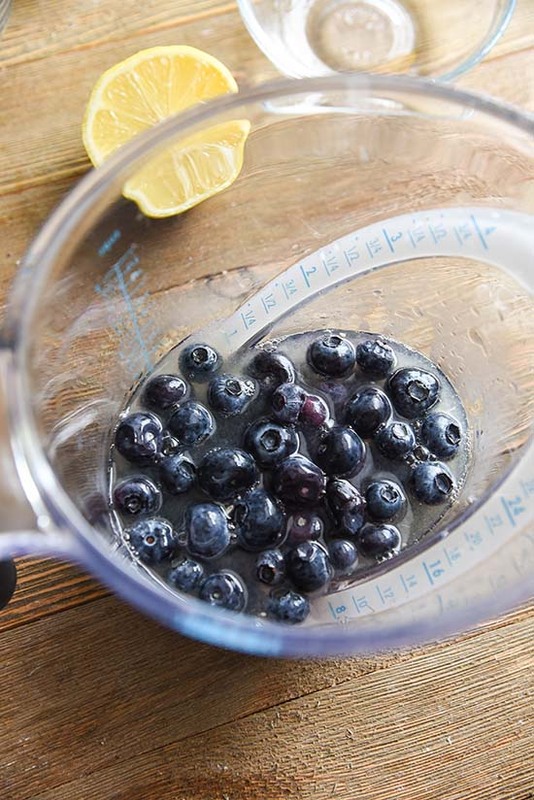 In a bowl mix together the simple syrup, lemon juice, and blueberries. Mash the blueberries into the liquid. Once mashed, add in the water. Mix together and serve as desired.